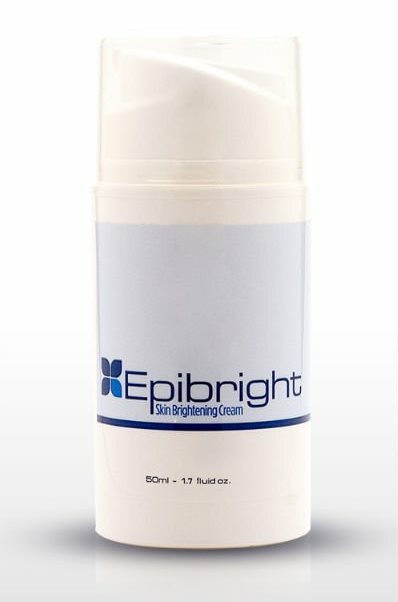 Epibright is a skin lightening cream that is well known for its ability to lighten the skin. Active ingredients of Epibright help to lighten the skin, reducing the appearance of age spots as well as heal the skin, reversing the effects of damage, such as free radical damage. 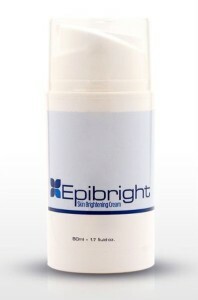 The main active ingredients of Epibright are called alpha-arbutin and kojic acid. Both of these ingredients are well known lightening agents, and are vital to making the skin appear lighter while reducing the appearance of darkened spots. The two primary ingredients listed have, in fact, been proven to lighten and brighten the skin, reducing the appearance of darkened spots of skin, such as age spots and liver spots. These same ingredients will minimize the appearance of hyperpigmentation as well. Additional ingredients listed will moisturize the face. Healing the skin and preventing future damage are additional benefits that consumers using Epibright will notice. Last, but not least, this cream contains ingredients that are well known for being superb exfoliators, which may be responsible for the peeling effect customers have reported. Liver spots can appear in a variety of locations on the body, which is why it is excellent that this product is safe to use on any part of the body. As far as price goes, this product ranked the same as similar products at approximately forty dollars a bottle, which isn’t too bad. Because one bottle is supposed to last an entire month, this balances out to about a dollar a day. Looking at it from the perspective, this product is more than affordable. With the only two downfalls of this product being the lack of convenience and the skin somewhat shedding, this was right up there with Retinol on our list of facial creams used to lighten and brighten the skin.